Christopher Cook’s career spans 25 years, both coasts and the Midwest, five newspapers, with stops along the way as a wine writer, wine competition judge, restaurant critic and restaurant guide editor, and documentary filmmaker. Since 2002, Cook has been chief judge and superintendent of the Michigan Wine Competition, a subset of the State of Michigan’s Grape and Wine Industry Council. Until this September, he spent fourteen years as chief restaurant critic and wine writer for HOUR Detroit magazine, the city’s and wine writer for HOUR Detroit. His awards include a share of a Pulitzer Prize for investigative reporting and fifteen regional EMMY Awards for documentary films and programs. For 12 years, he was a fulltime staff member and wine columnist at the Detroit Free Press, and later wrote about wine for the Oakland Press. From 1995-2004, Cook edited the Zagat Survey of Michigan restaurants. He was also restaurant critic for the now-defunct Detroit Monthly magazine from 1988-1991. 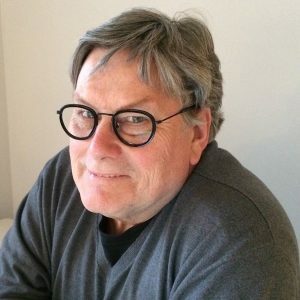 His freelance writing on wine and food over the years has also appeared in Newsday (NY), the San Diego Union, Kansas City Times, Crain’s Detroit Business and other publications. Cook has been a speaker, panelist or moderator at more than 100 wine and food conferences and conventions, including the Midwest International Wine Expo in Chicago (1987-96), and the Vintners Holiday Series at the Ahwahnee Lodge in Yosemite National Park (CA) (2001-2005), and the Grand Traverse Wine & Food Festival in Traverse City (2005-2006). He also has hosted wine dinners for restaurants and organizations around the Midwest. Prior to 1995, Cook held various staff writing and editing a several newspapers: Newsday, Staten Island Advance, San Diego Union, Kansas City Times, Detroit Free Press. He was part of a team that won a Pulitzer Prize for investigative journalism at Newsday. Cook was born in England, grew up in France and came to the U.S. when he was 19-years-old. He is bilingual. He attended Hartwick College in Oneonta, NY and was awarded journalism fellowship at the University of Michigan 1981-82, now the Night Wallace Fellows Program. He is married and lives in Ann Arbor, MI.